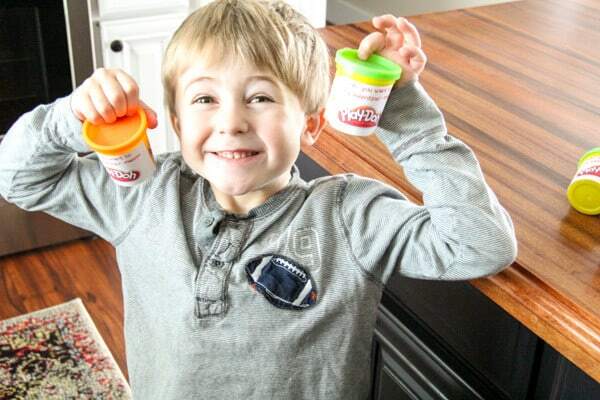 My little Mason LOVES play-doh. Daily he asks if he can play it. 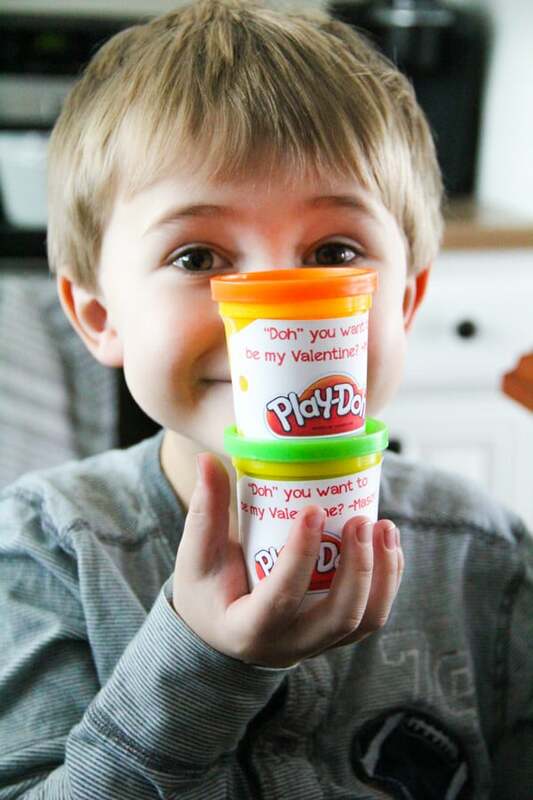 I figured since he loves it so much it was the perfect thing for him to give out with his Valentines. 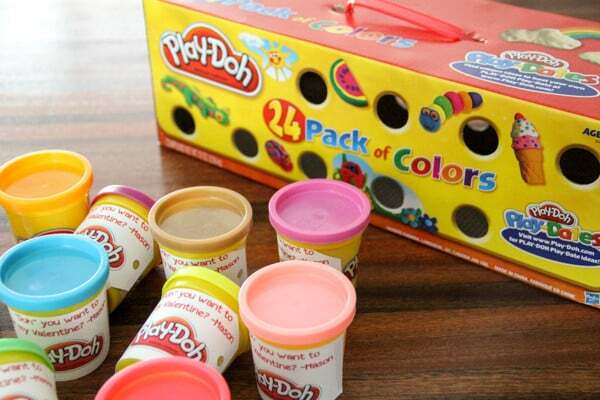 First we ordered this 24 pack of Play-Doh on Amazon for $15 *contains affiliate link*. 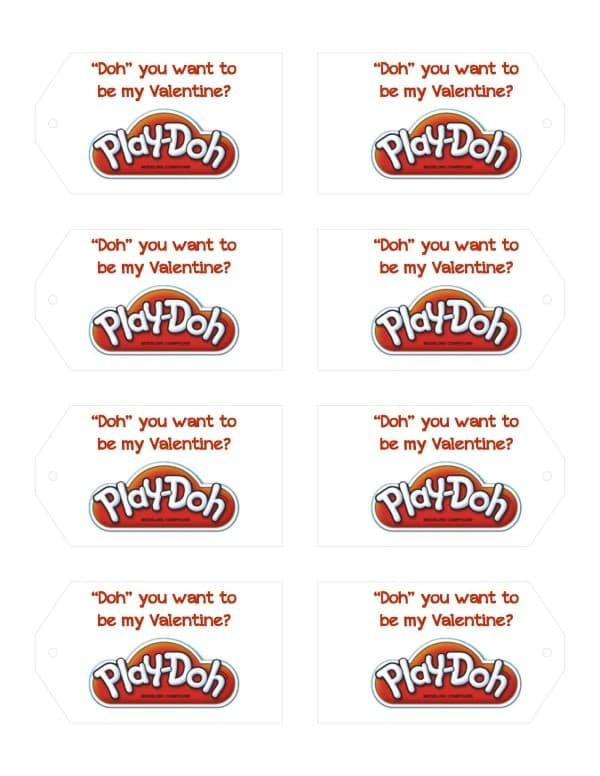 Then I created these printable Valentines. 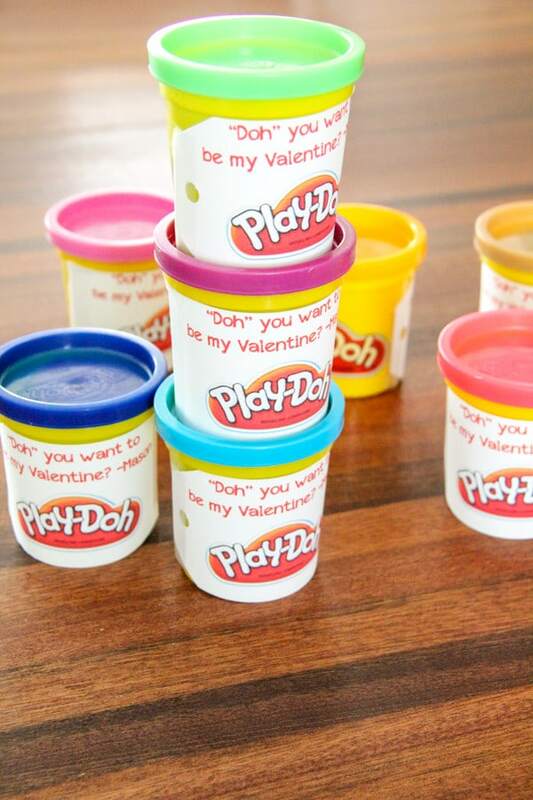 I’m also sharing the printable so that you can create your own Play-Doh Valentines! 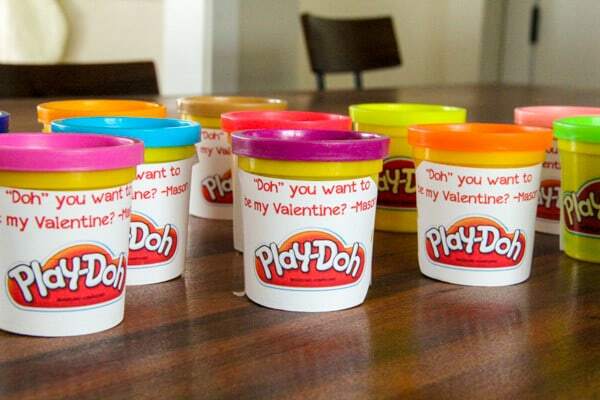 All I did was print the tags and then tape them onto the Play-Doh containers. I probably should have had him write his own name on them, but he hates writing his name and I wasn’t in the mood to battle him. I left the printable nameless though so that you can have your kiddo write their name! 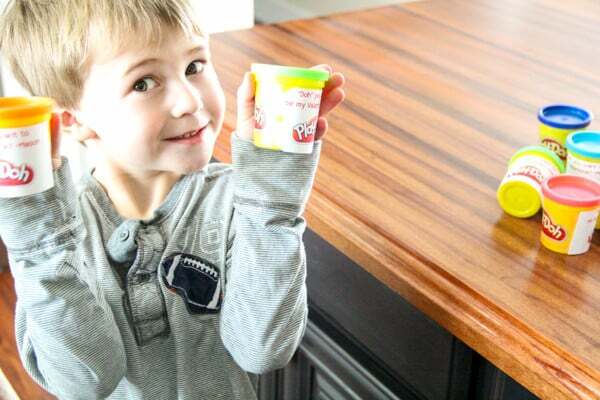 And really… who would want a battle over signing their name with a boy this cute anyways??! So what are you waiting for?! Amazon ships within 2 days and you’ve got the free printable link! 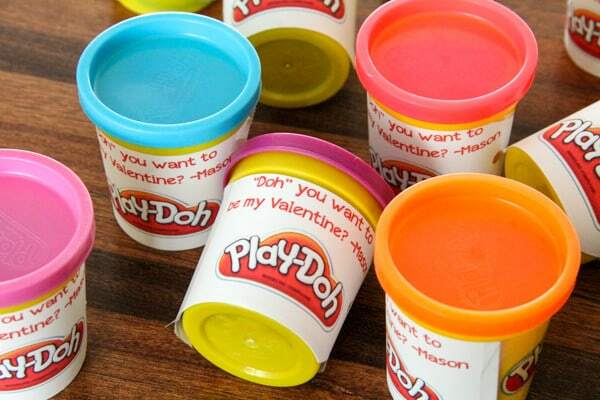 Now I just have to keep him out of the Play-Doh so that we still have Valentines to give his classmates!